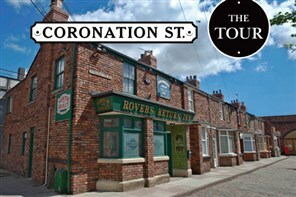 Get in amongst the drama with this exclusive Coronation Street: The Tour. Having graced our televisions for over 50 years, we can confirm the Nations most iconic cobbled street is allowing public access to Weatherfield! Leaving Bristol at, heading north to where you will have the chance to tour the corridor of the stars, showcasing actors past and present, watch rare footage and reminisce memorable scenes and favourite characters. Visit some of the interior sets where key scenes were filmed and walk down the famous cobbles. Have your photo taken at the Rovers Return.The tour starts at 2/2.15pm and will last around 90 minutes. Enjoy a full breakfast in the hotel, before making the short journey to explore central Manchester. Time to make the return journey south.